Xeomin is used to reduce muscle activity in the face. Its cosmetic treatments includereducing frown lines and wrinkles. It is made from a neurotoxin called incobotulinumtoxinA (botulinum toxin type A). This substance is similar to the one used in Botox. If you're 18 or older with moderate to severe furrows between your eyebrows, it will fade the lines, leaving your skin smooth and youthful. These frown lines (also known as "11s" or by the medical term, glabellar lines, are a source of embarrassment for many people. Deep furrows between your brows give you the appearance of being angry or worried even when you're happy, and we all know how important first impressions can be, especially at job interviews, work-related function, or first dates. It can also be used to soften or eliminate forehead wrinkles, frown lines or crow's feet, giving you a more vibrant complexion. When you frown, grimace, laugh or make other facial expressions, the muscles underneath your skin contracts. As you repeat these expressions over years or decades, they create frown lines between your eyebrows. The neurotoxin incobotulinumtoxin A in Xeomin stops chemicals that cause muscle to contract. This reduces or eliminates frown lines, also known as glabellar lines or "11s" because they resemble the number 11 between your eyebrows. What's the Difference Between Xeomin and Botox? Unlike Botox, Xeomin doesn't need to be refrigerated between uses. It contains no additives, just botulinum toxin type A. This may reduce the chance of some patients developing antibodies. If a patient's body senses that it's a foreign invader, the individual may develop antibodies to fight it and not achieve the desired cosmetic result. 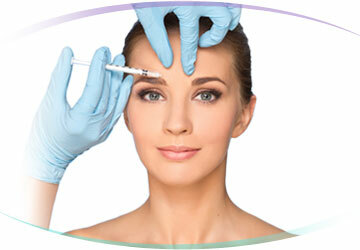 Any condition treatable with Botox can be corrected with Xeomin. Ask your medical provider which product is best for your needs. Both products shouldn't be used interchangeably. If one works for you, continue to use it. It was cleared by the FDA in 2010 to treat moderate to severe frown lines between the eyebrows, it is only safe when administered by a medical provider. Although uncommon, you may experience some bleeding and bruising at the injection site. Discontinue use of aspirin or other blood-thinning medications a week before receiving treatment to reduce the chance of bleeding.